At Congregation Etz Chaim, we recognize that it is our role to support one another in times of joy as well as times of sadness. If your loss occurs during normal business hours, please contact the synagogue directly at 770-973-0137. You will be shortly forwarded to a member of our rabbinic team. If your loss occurs after normal business hours (9 a.m.-5 p.m., Monday-Thursday, 9 a.m.-3 p.m. on Friday) please contact the synagogue and press x122, for our Executive Director, Marty Gilbert. The call will forward immediately to him. He will then be in touch with our clergy who will be in touch to assist you. If a loss occurs on Shabbat, please follow the same above protocol to be in touch with Marty Gilbert. Please note that if the loss occurs during Shabbat services that there will likely be some lag time until you get a reply. Our clergy will be informed and contact you immediately following the conclusion of Shabbat (time varies based on sundown). ***Please note that funeral times may not be finalized with the Funeral Home until confirming availability of our rabbinic staff. ***Additionally, for use of our synagogue Chevra Kaddisha (burial society), please inform the funeral home that you would like a tahara, (a ritual washing), as a part of your arrangements. The funeral home will contact the Chevra Kaddisha directly. In preparation for your intake meeting with our rabbis, you may read about the various rituals associated with Jewish death and Mourning here. It is with profound sadness that we inform you of the passing of Lou Bernstein, beloved Zaidi of Amy Dorsch, on Monday, March 18, 2019. The funeral and shiva will be in Canada. It is with profound sadness that we inform you of the passing of Myrna Lyons, beloved mother of Jonathan Lyons, on Sunday, March 17, 2019. The funeral will be held Tuesday, March 19, at 3:00 p.m., at Arlington Memorial Park in Sandy Springs. Shiva Minyanim will be Tuesday through Thursday, March 19, 20, and 21, at 7:00 p.m., at the home of Jamie and Jonathan Lyons. It is with profound sadness that we inform you of the passing of Miles Baron, beloved father of Seth Baron, on March 14, 2019. It is with profound sadness that we inform you of the passing of Sondra David, beloved mother of Robin Brill, on March 11, 2019. It is with profound sadness that we inform you of the passing of Esther Ben-Aroia, beloved mother of Batia Ben-Aroia, on Tuesday, March 3, 2019. Our condolences to the Ben-Aroia family. It is with profound sadness that we inform you of the passing of Arnold Freedman, beloved father of Wayne Freedman, on February 8, 2019. Our condolences to the Freedman family. It is with profound sadness that we inform you of the passing of Jeffrey Unger, beloved husband of Alisa Unger, on February 7. Our condolences to the Unger family. It is with profound sadness that we inform you of the passing of Arnold Kusnitz, beloved father of Mimi Givarz, on February 2, 2019. 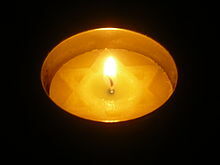 Our condolences to the Givarz and Kusnitz families. It is with profound sadness that we inform you of the passing of Seymour Alan Ziskend, beloved father of Joe Ziskend, on January 27, 2019. Our condolences to the Ziskend family. Mark Schlosberg, who passed away today, January 23, 2019. Shiva Minyan will be on Sunday, January 27, at 7:00 p.m., at the home of Julie and Mark Schlosberg. Our condolences to the Schlosberg family.